Follow these 4 simple installation steps and you will have your USB50 connected to your PBX or KEY phone system in no time. Mounting the unit: Wall mounting, mount the PD-USB50 to a clean, dry surface using the screws supplied with your player. Shelf mounting, apply the non-marring feet to the bottom of the player. 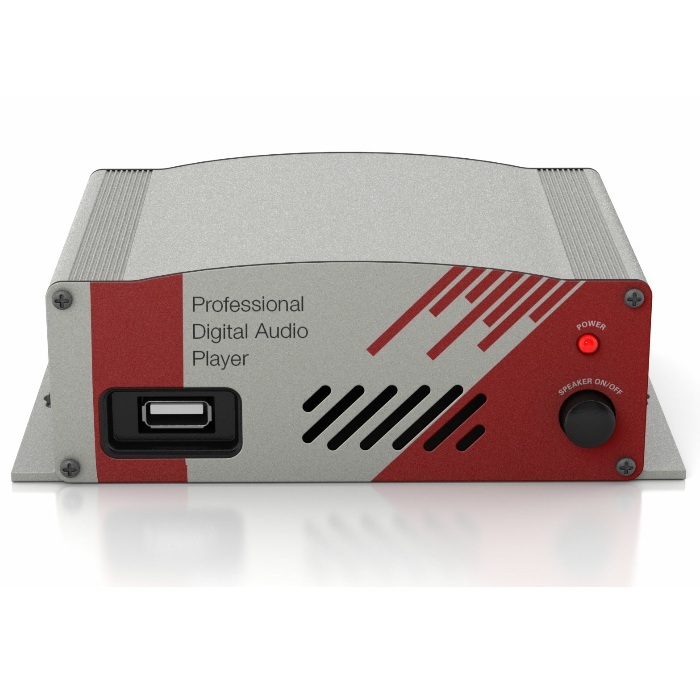 Using the supplied audio cable, connect the audio output on the digital player to the music-on-hold jack located on the key service unit. Connect the AC wall transformer to the power jack on the digital player and plug the transformer into the wall outlet. The audio will start playing within 10 seconds. The audio may be previewed by turning the speaker on. Always turn the speaker off for normal operation. 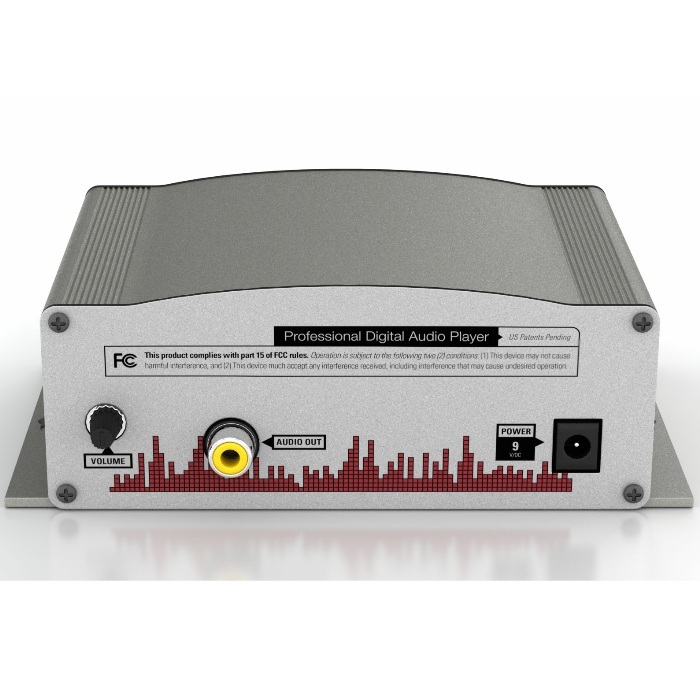 Use the volume control on the PD-USB50 to adjust the volume to the desired level. Remove the MOH drive from the PD-USB50 player and insert it into the USB port of the computer containing the messages to be transferred. Wait for the computer to recognize the MOH drive as a storage device (up to 30 seconds). Double-click the icon for the MOH drive to display its contents. If “MOH Drive” is not in the list of available devices, remove the drive, wait 5 seconds, and re-insert it into your computer. Delete any unwanted messages on the MOH drive by dragging them to the trash and choosing “empty trash”. Drag and drop (or copy and paste) any new messages to the main directory of the MOH drive. Eject the MOH drive from your computer and return it to the PD-USB50. After inserting the drive into the player, the new messages will start playing within 10 seconds.